The Advantage 3.5 Cu. Ft. (100 Litre) 3/4 HP Direct Drive Portable Cement Mixer is a robust and cost effective mixer for residential and commercial applications. The steel gauge frame, air tires and retractable handles support the wheelbarrow cement mixer for the toughest jobs. The High Density Polyethylene drum can mix up to 180 lbs of cement/concrete and is highly resistant to cracks, dents and rust while at the same time providing an easy clean solution. The 3/4 HP Direct Drive electric motor delivers reliable and high torque performance during each use. The Advantage Portable Cement Mixer is engineered to provide easy transportation, compact storage and high performance mixing results. 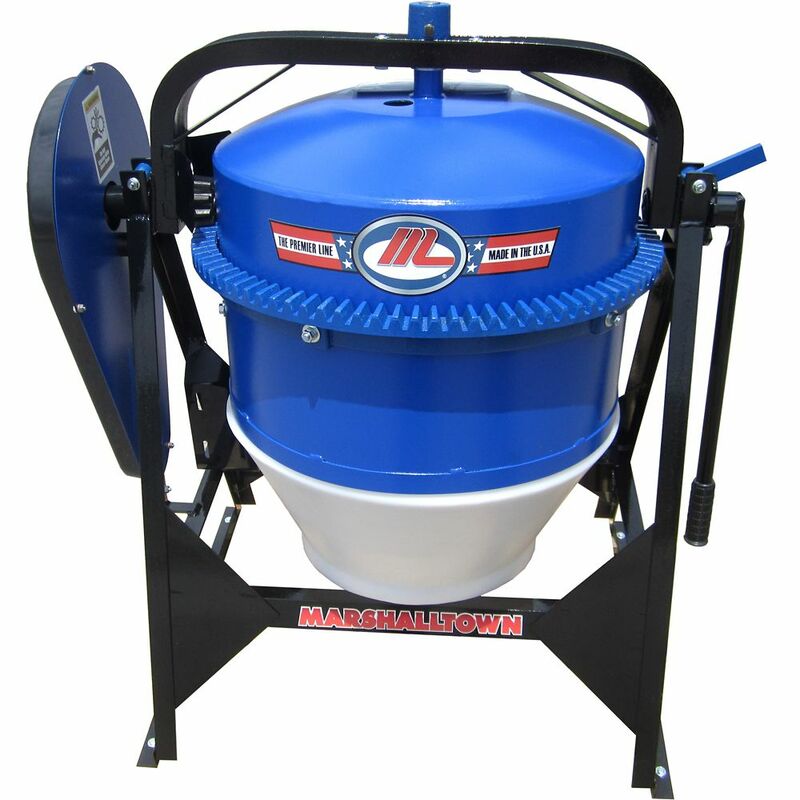 Utility Mixer Quality Utility Mixer perfect for batching concrete, mixing seed and feed, as well as numerous industrial applications. Our polyethylene drum is FDA/ NSF/ USDA approved.